We designed the SRS-QD brake using high-speed-video for superior recoil reduction. It reduces barrel whip by 1/3 over most competitor brakes. the SRS-QD brake enhances accuracy by providing uniform gas dispersion, harmonic stabilization, and minimal barrel whip. 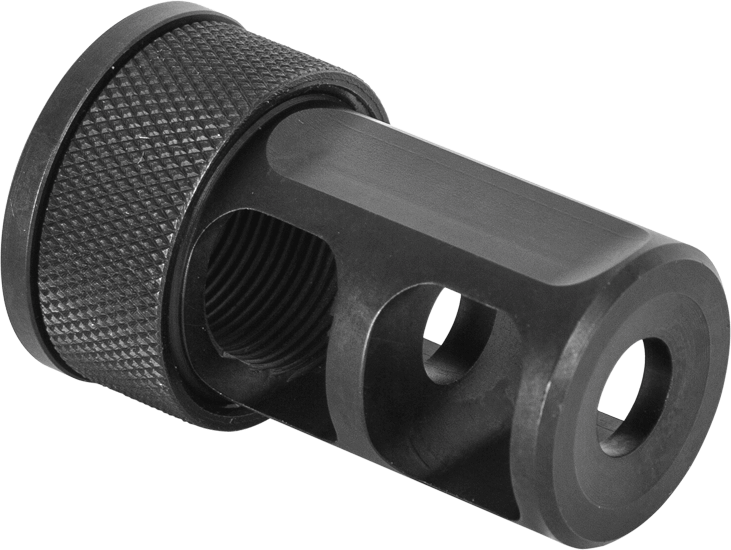 you can securely attach Desert Tech Sound Suppressors on the brakes threaded collar. 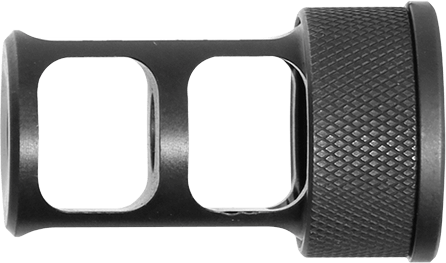 horizontally-oriented brake ports prevent muzzle blast or flash damage to night vision devices and minimize ground disturbance.